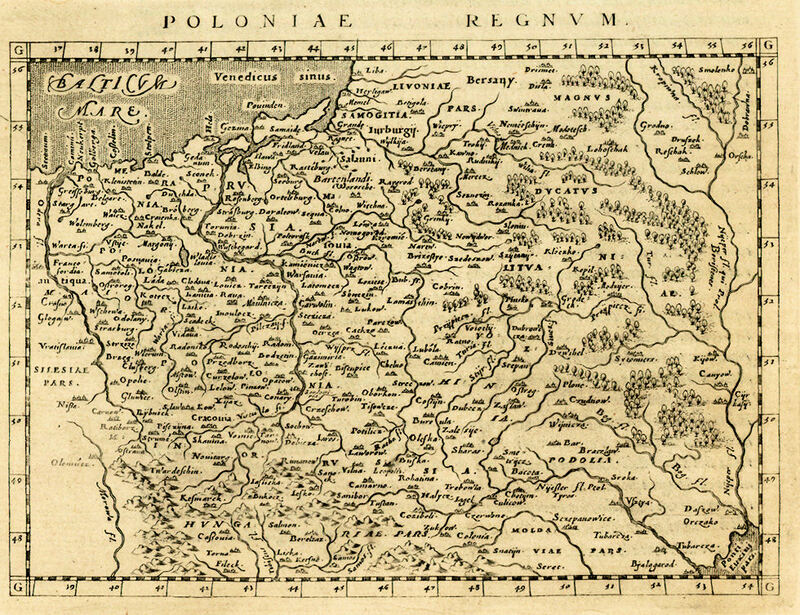 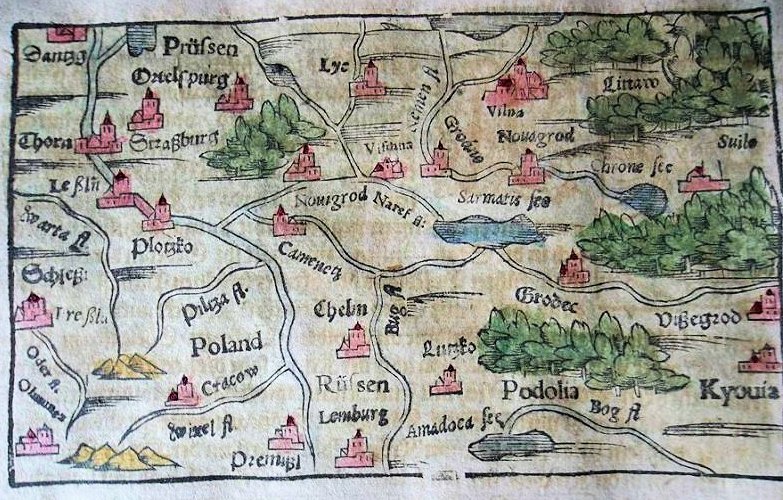 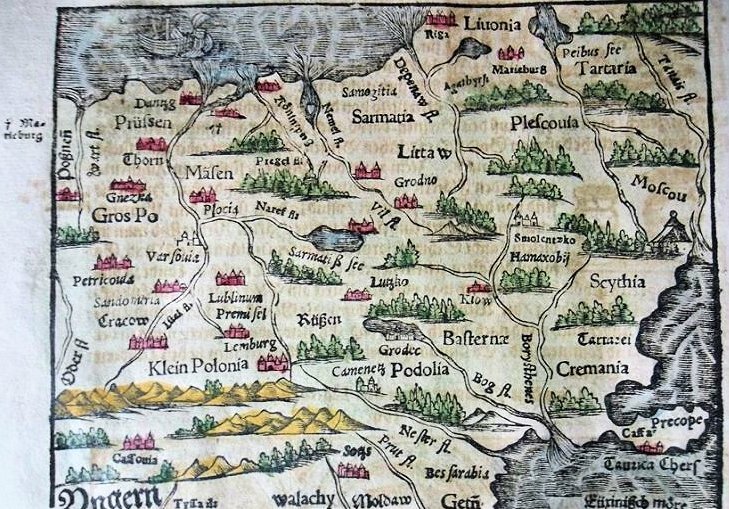 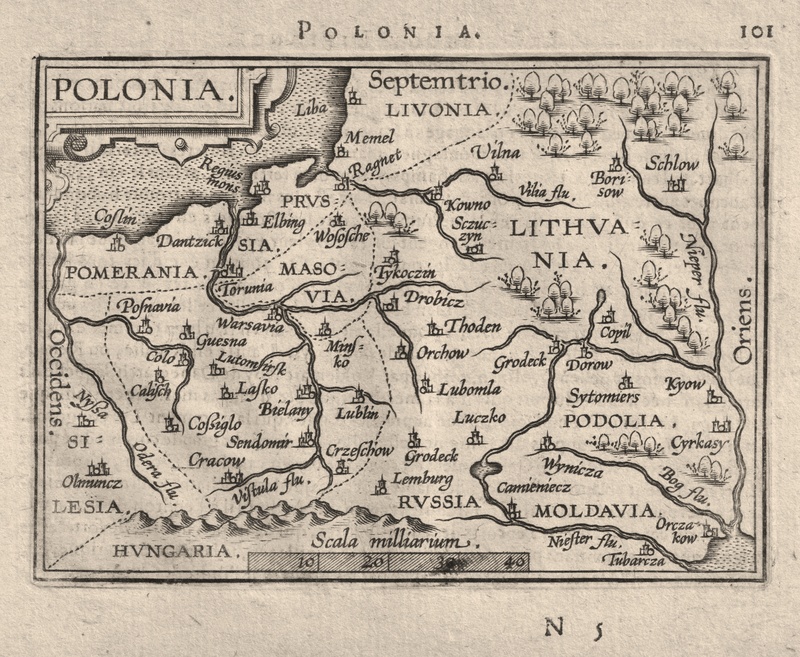 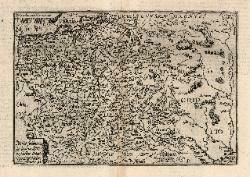 geography, particularly on the right-hand (eastern) side of the map. 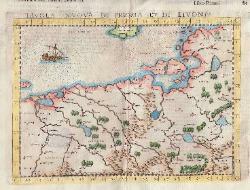 Sources which say the corrections/additions first appeared in 1598 are mistaken. 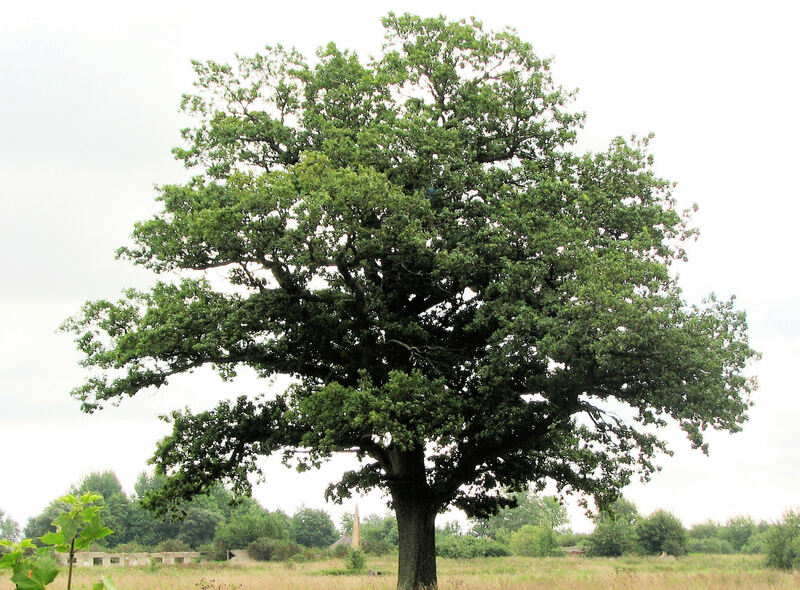 by Gerard Jr. 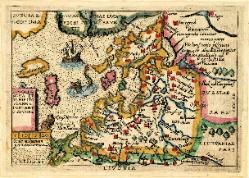 Following his death in 1604, the stock was bought at auction by Jodocus Hondius, and re-issued for 30 years. 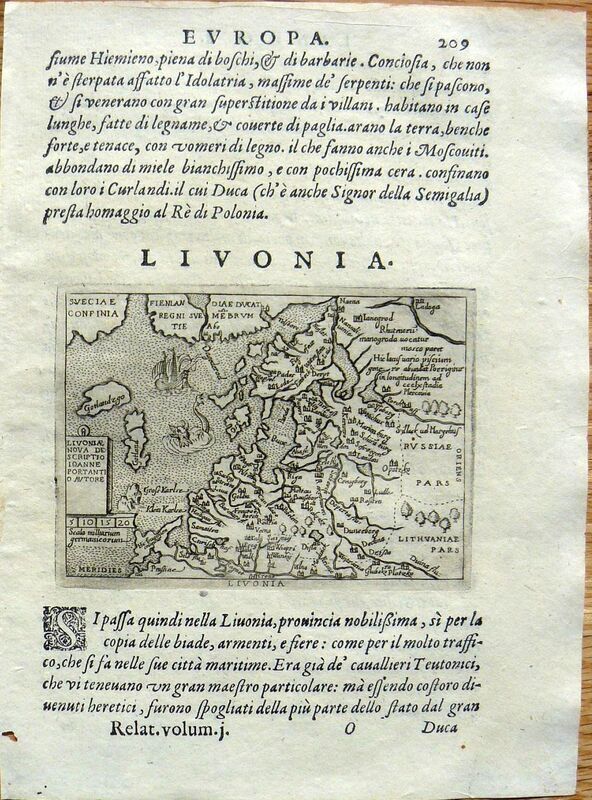 Universi." 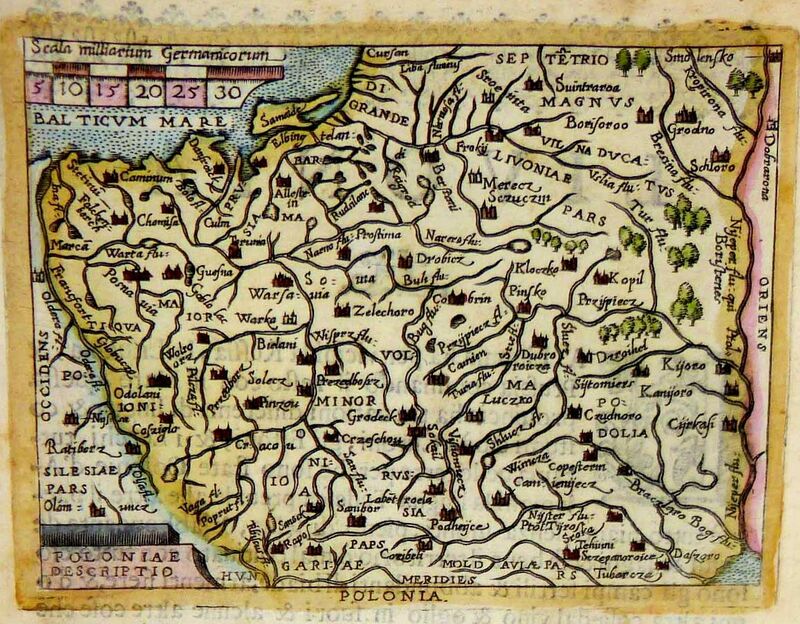 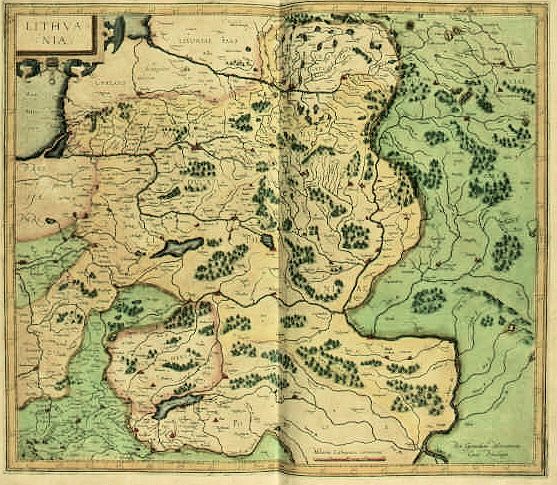 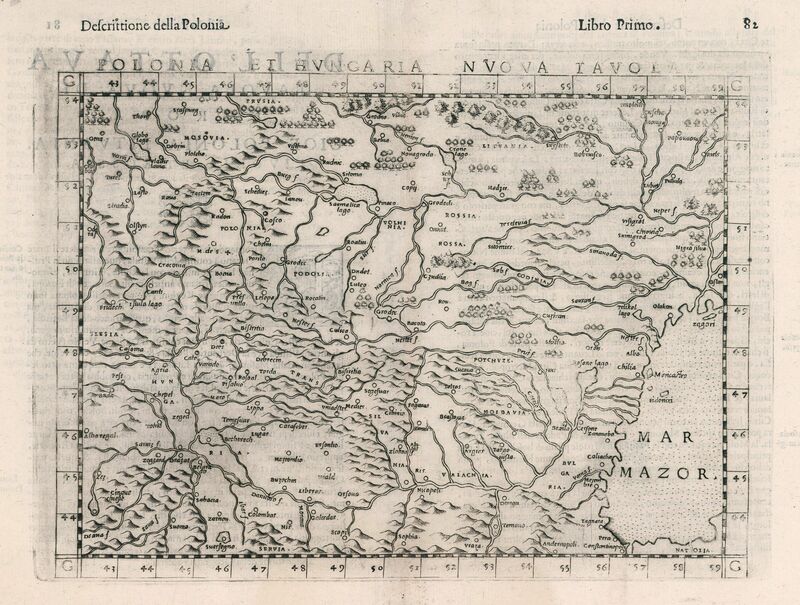 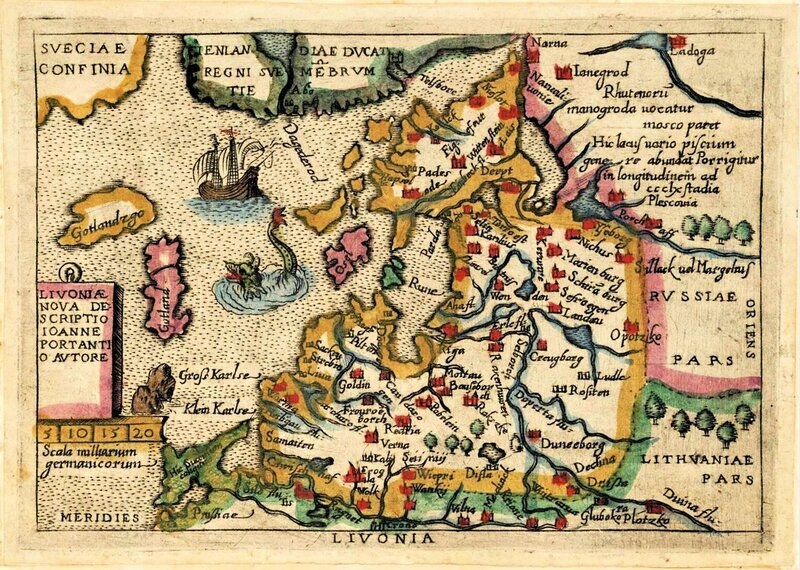 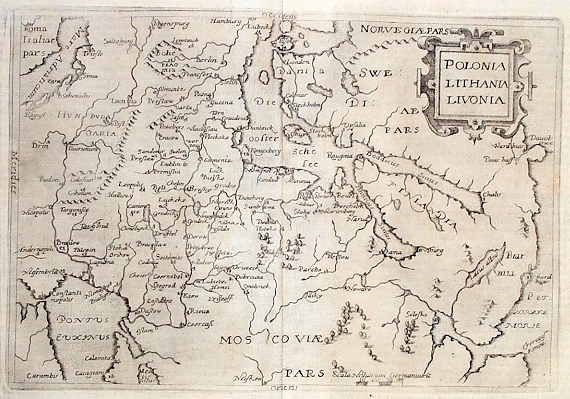 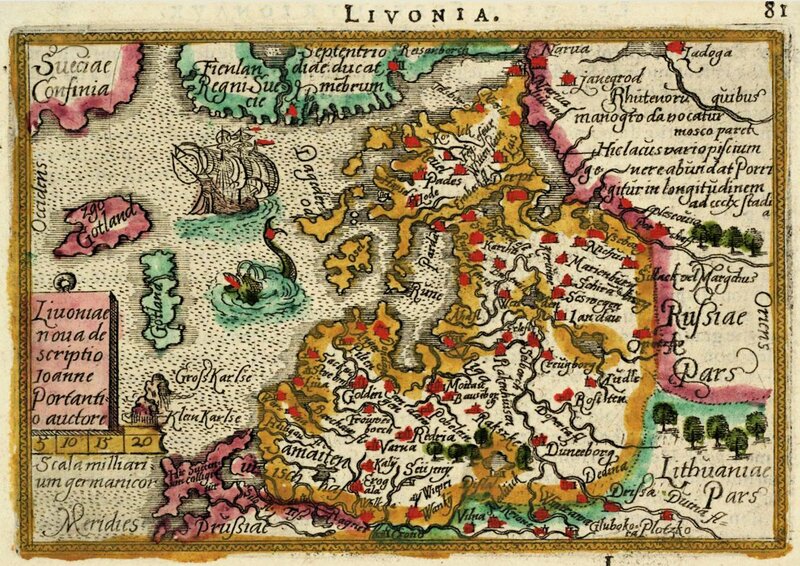 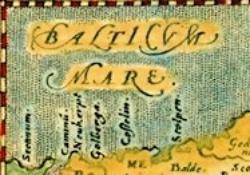 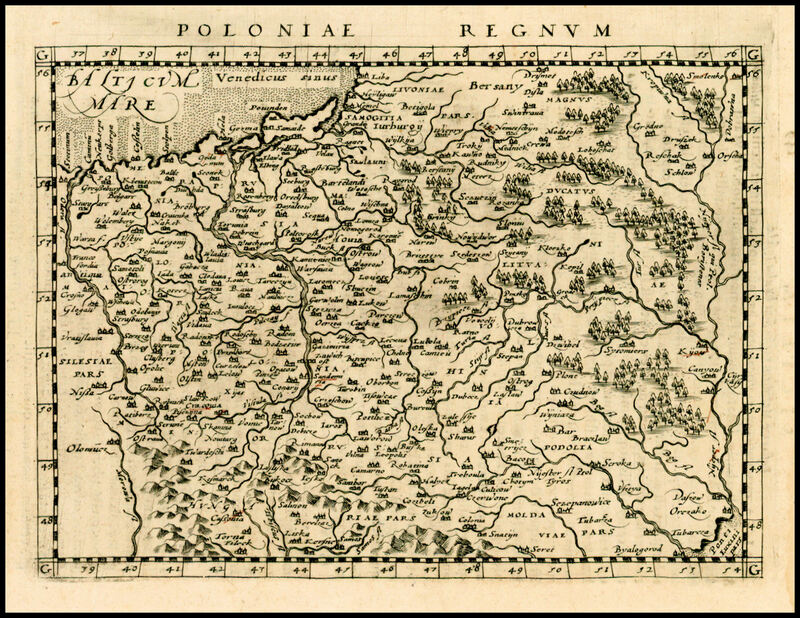 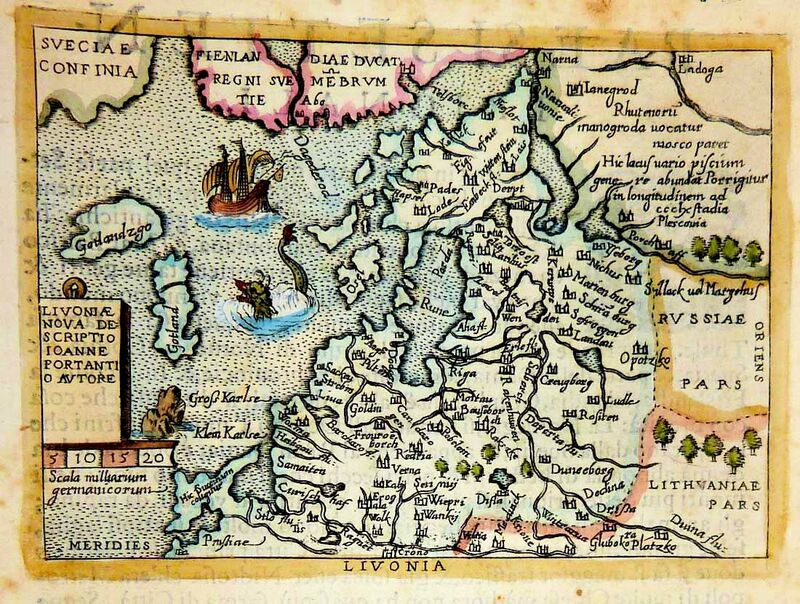 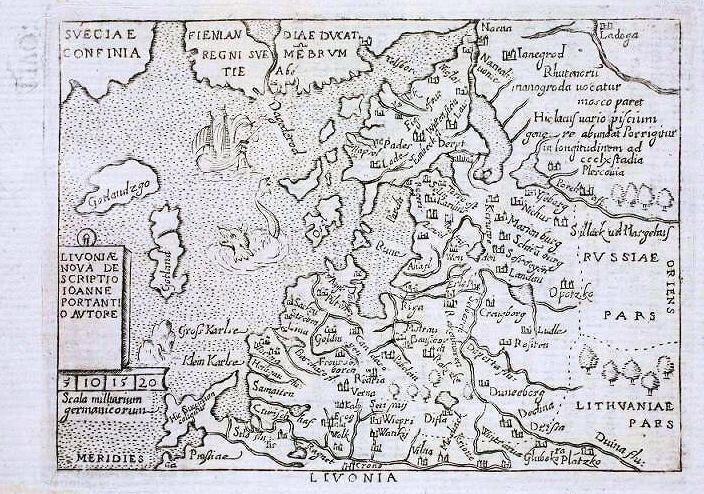 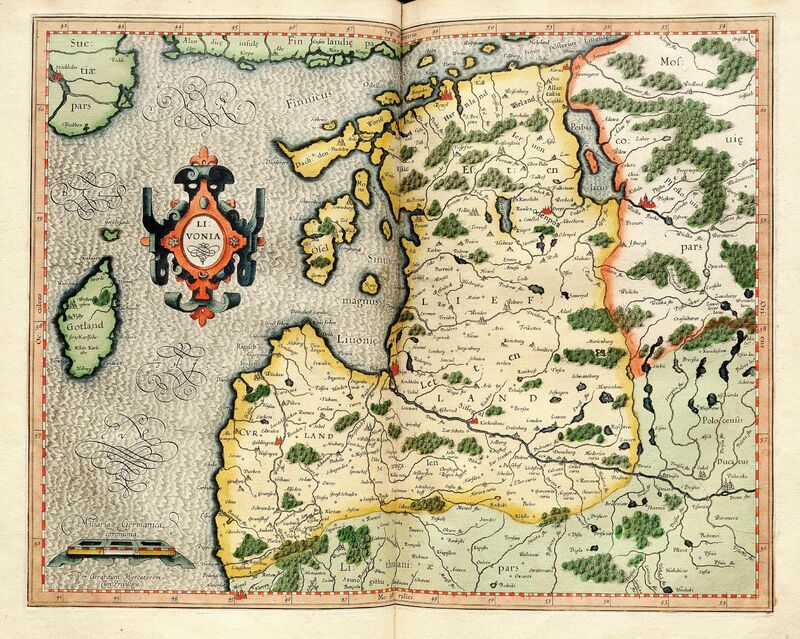 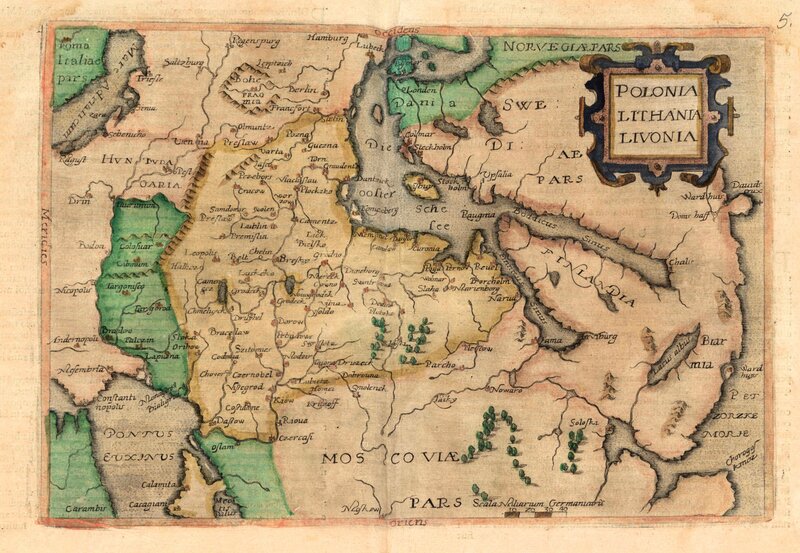 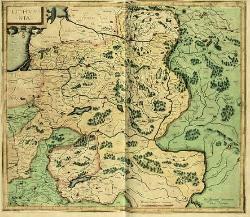 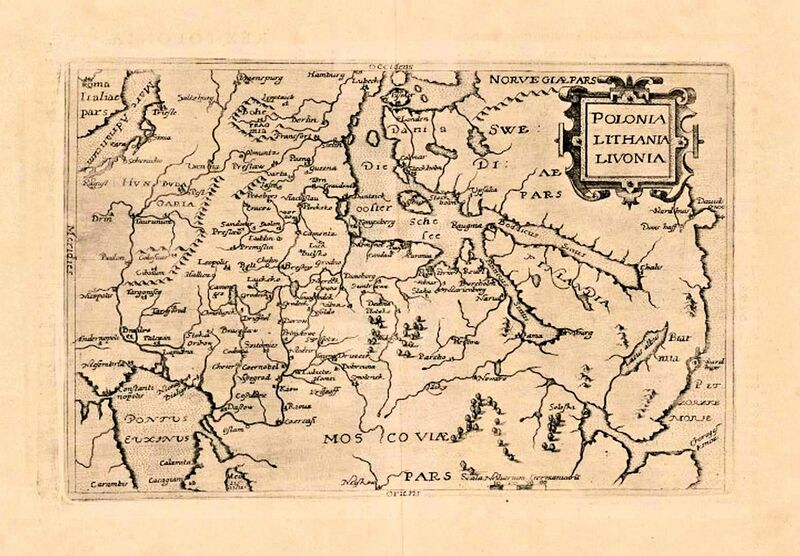 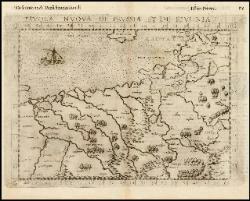 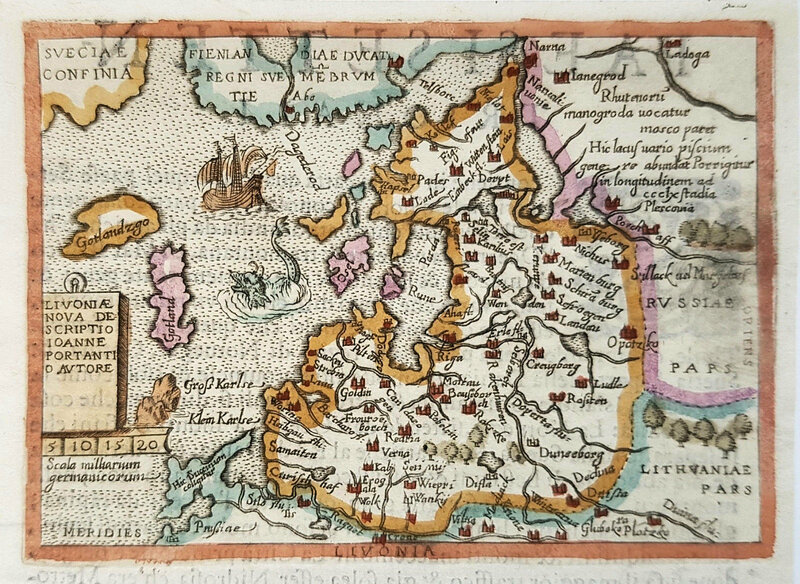 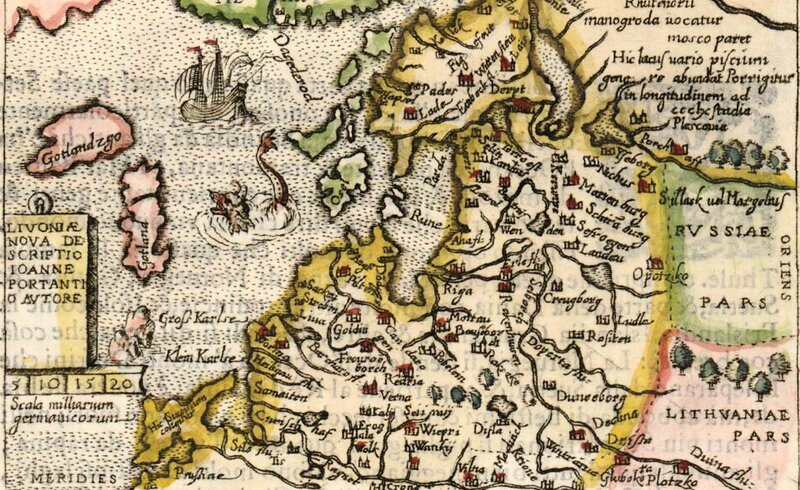 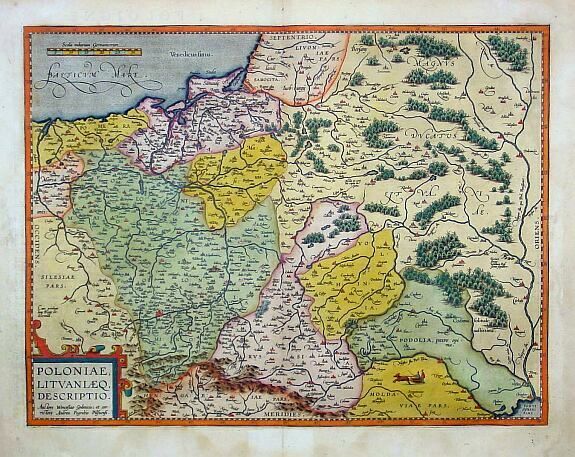 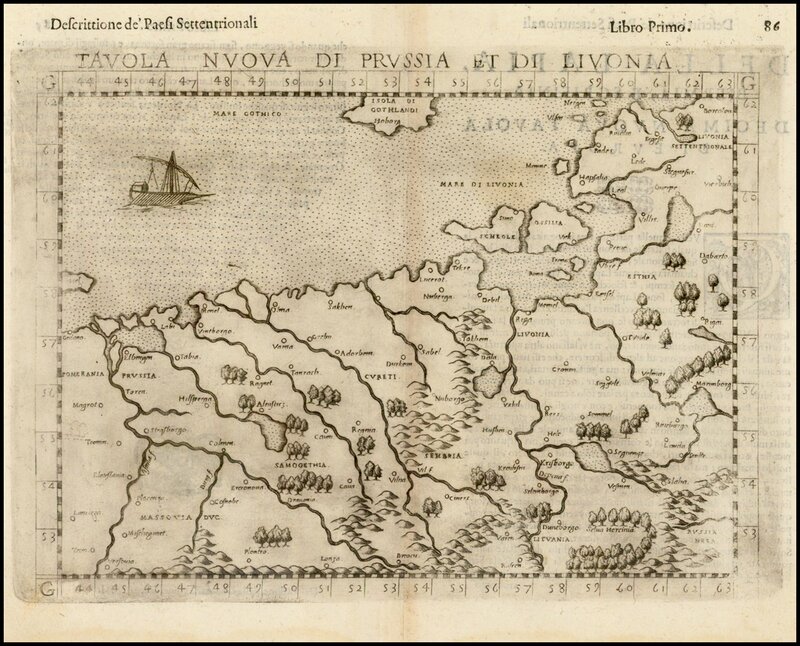 The map is after Mercator, North on right. 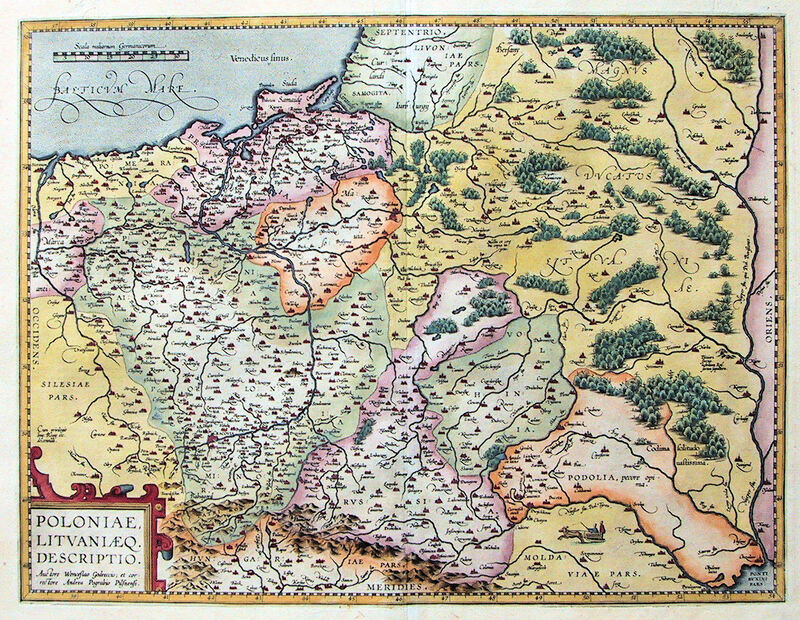 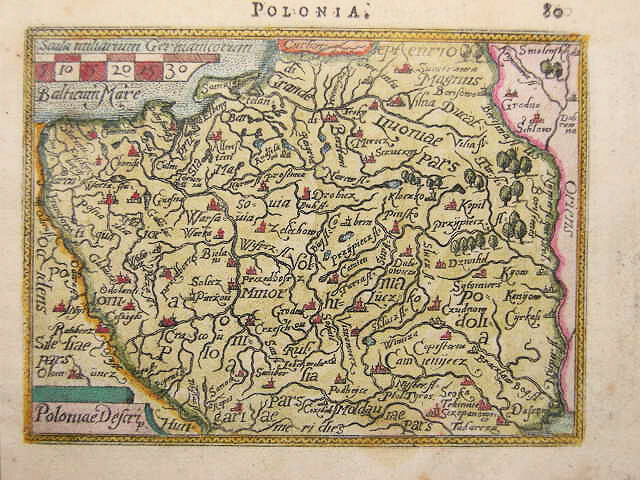 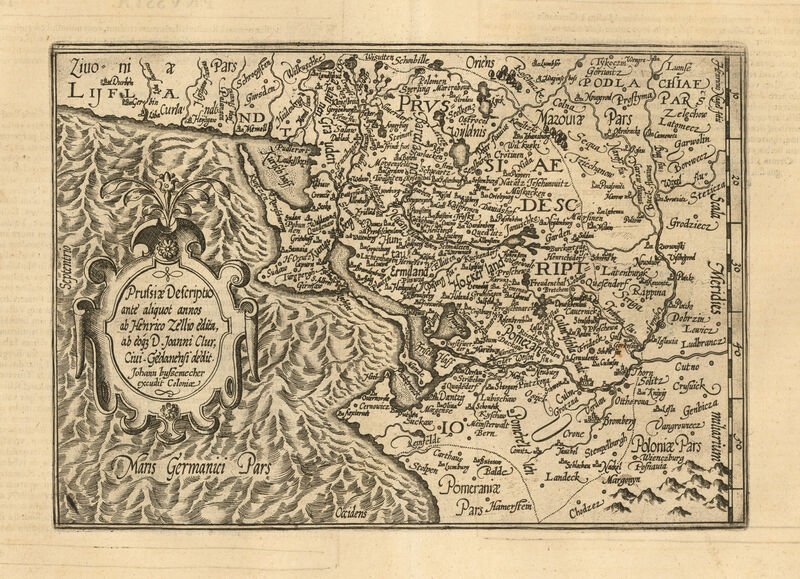 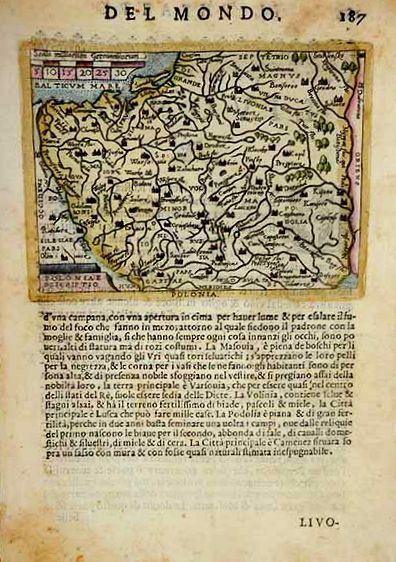 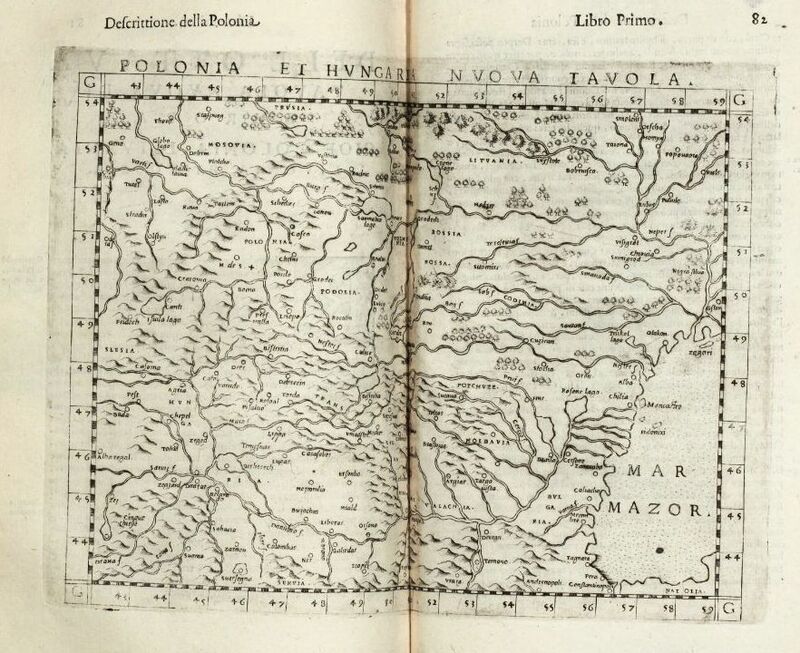 "Geographiae," published by G. B. Galignani & G. Galignani. 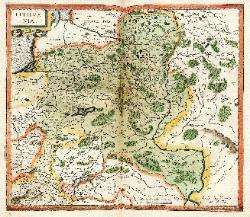 See the 1617 version. 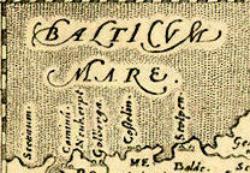 stippling. 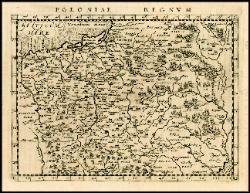 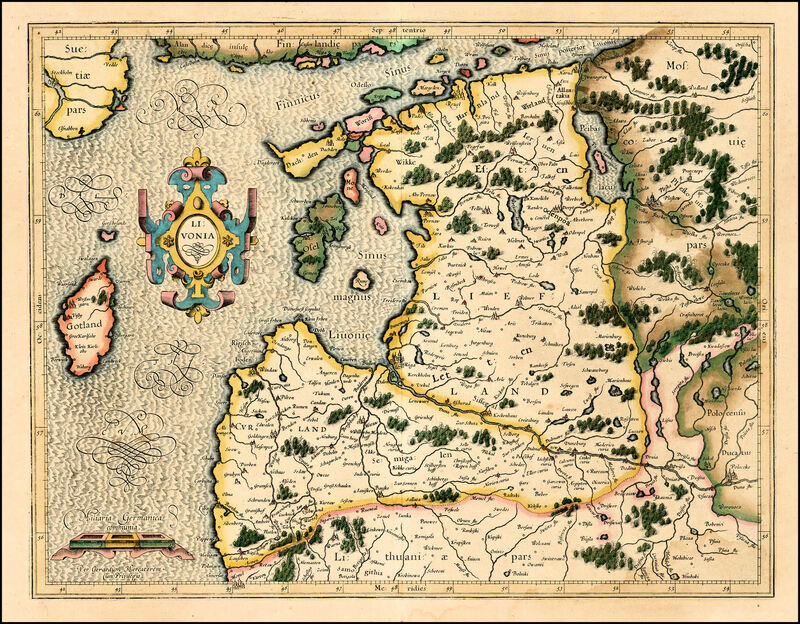 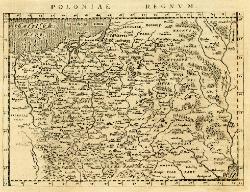 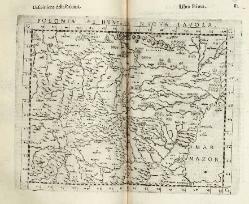 You'll see many maps at this site that may look identical at first glance, but which are different, either to the plate or to the coloring. 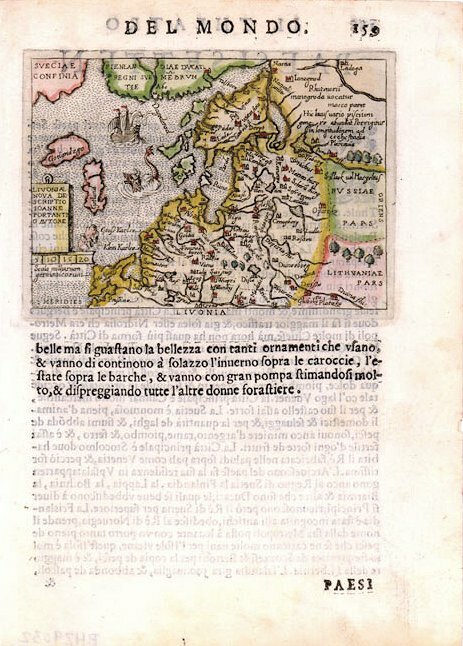 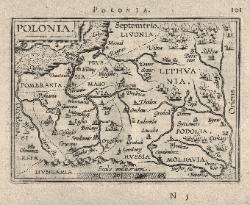 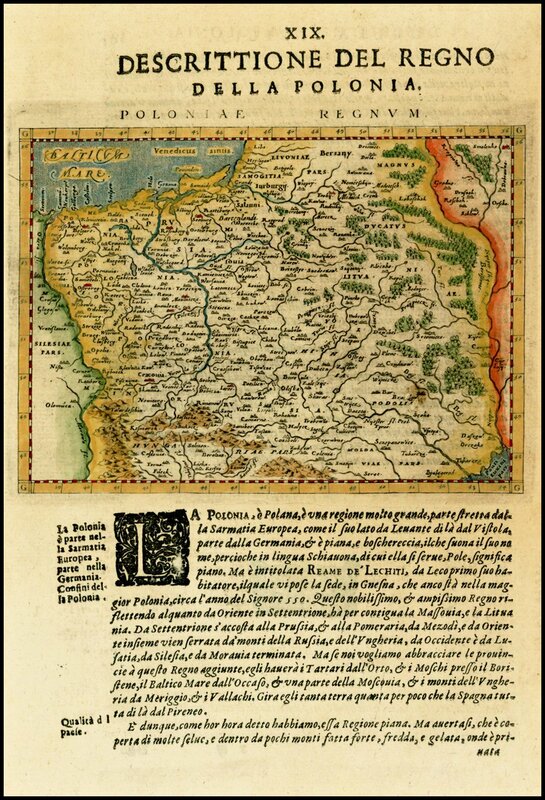 1598-99 Pietro Marchetti (engraver, best noted for plagiarizing Ortelius' 1577 miniature atlas)) - G. Botero (publisher): "Poloniæ Descripto,"
Brescia, in four versions of a miniaturized (4 1/2 x 3 1/2 inch) 1570 Ortelius map, from his "Relationi Universali." 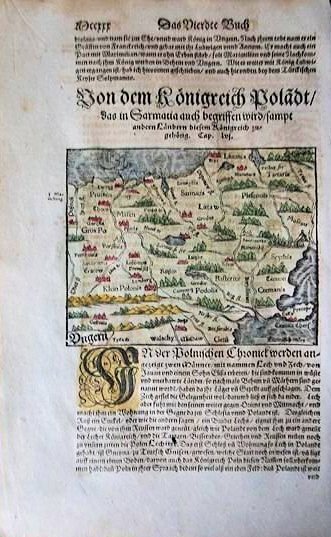 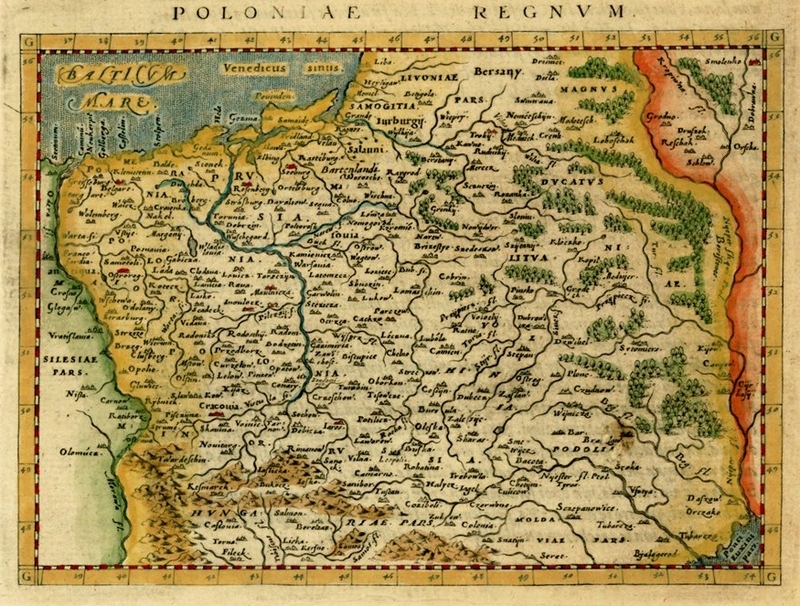 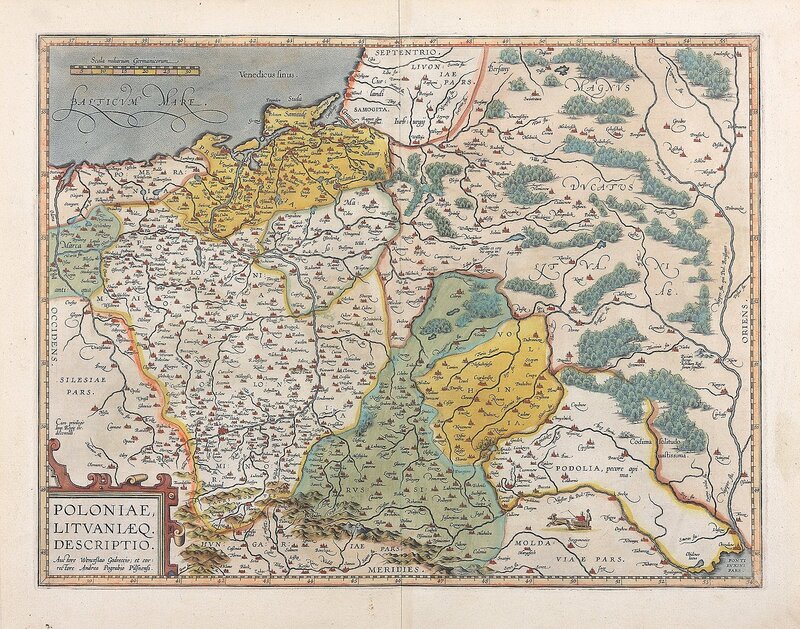 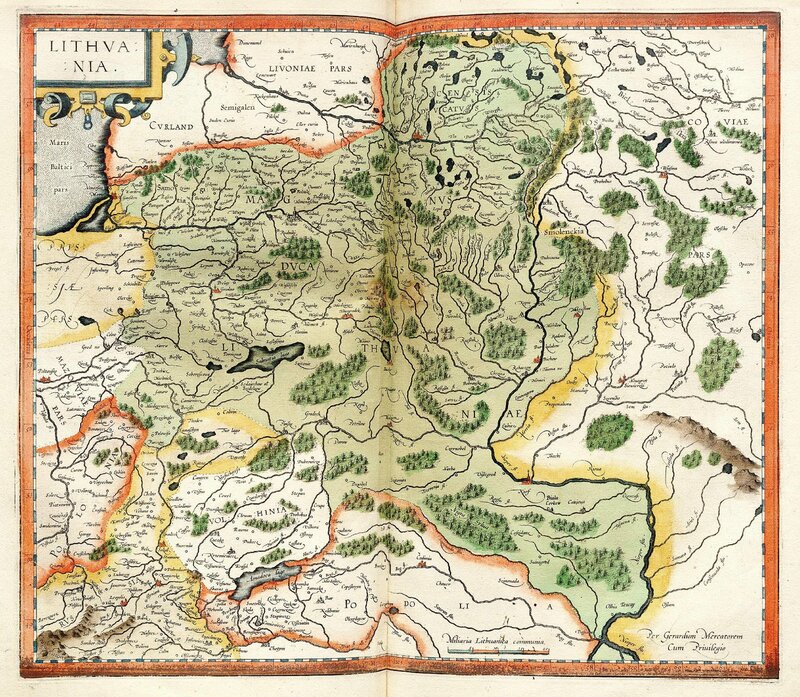 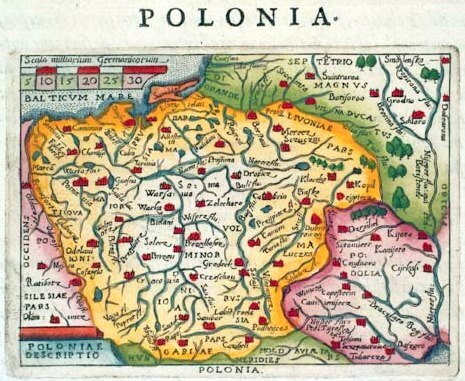 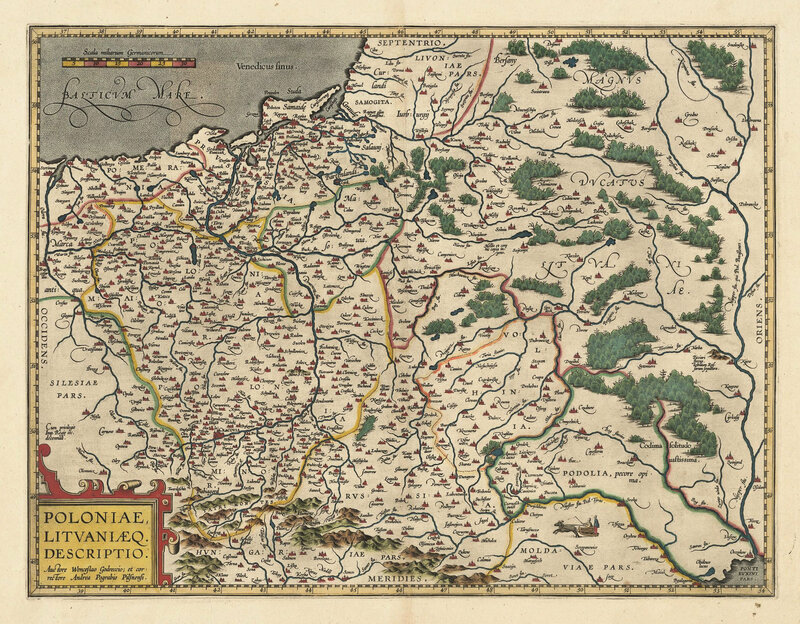 written with German text, with 82 maps. 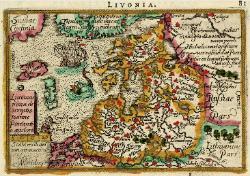 Livonia. 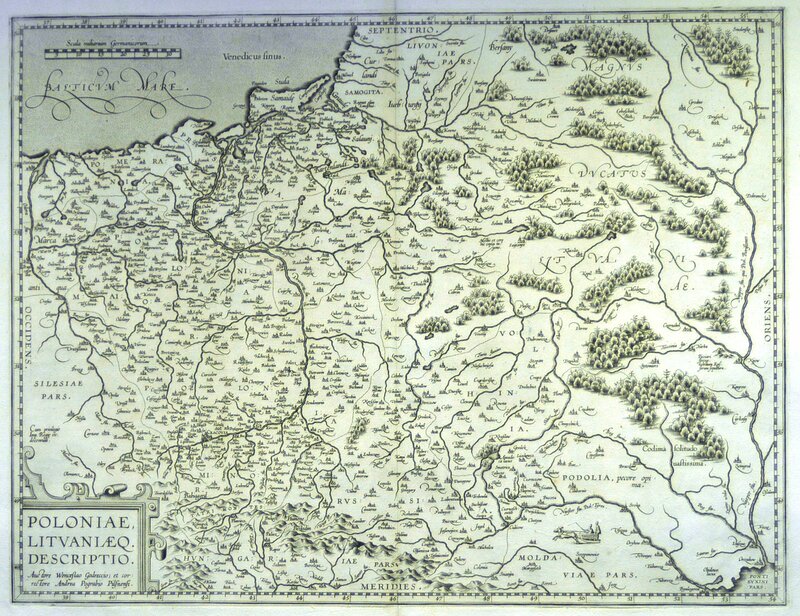 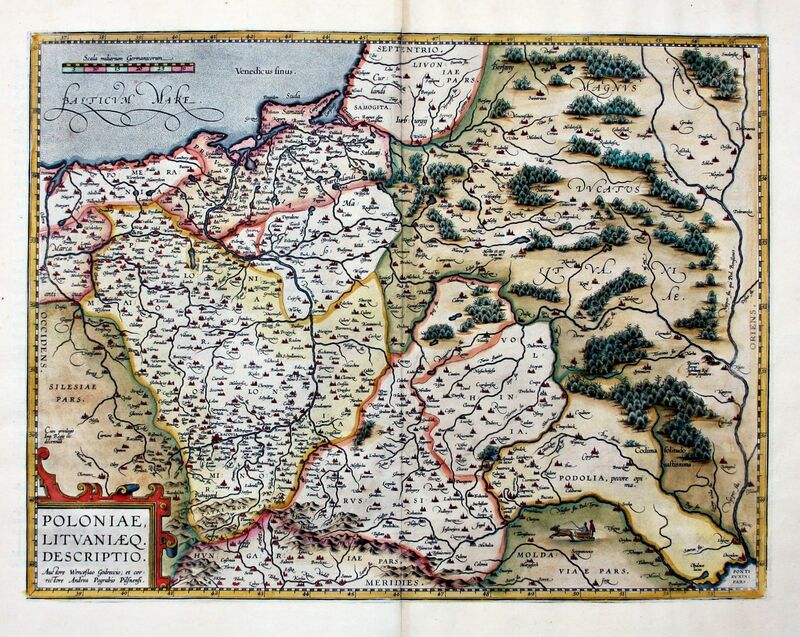 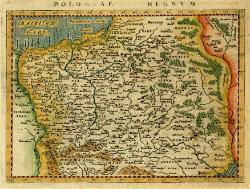 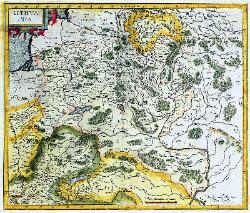 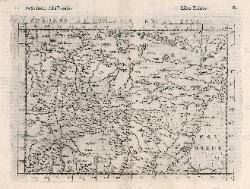 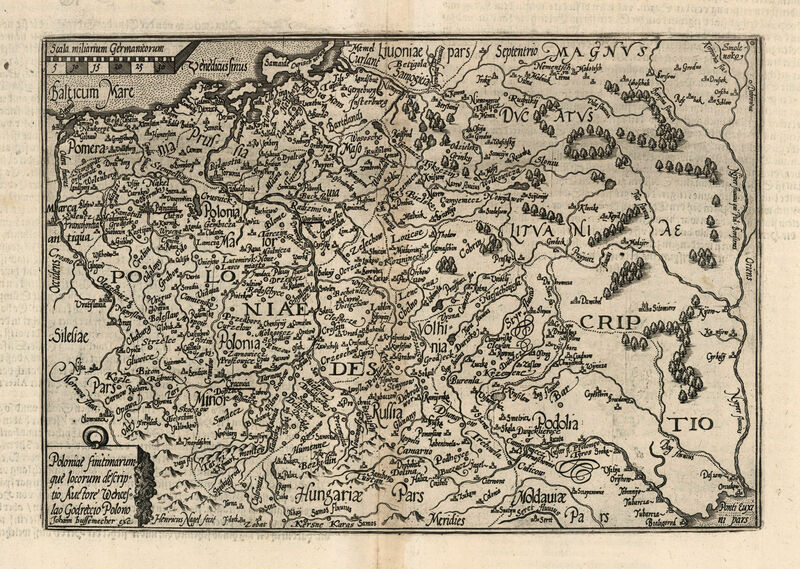 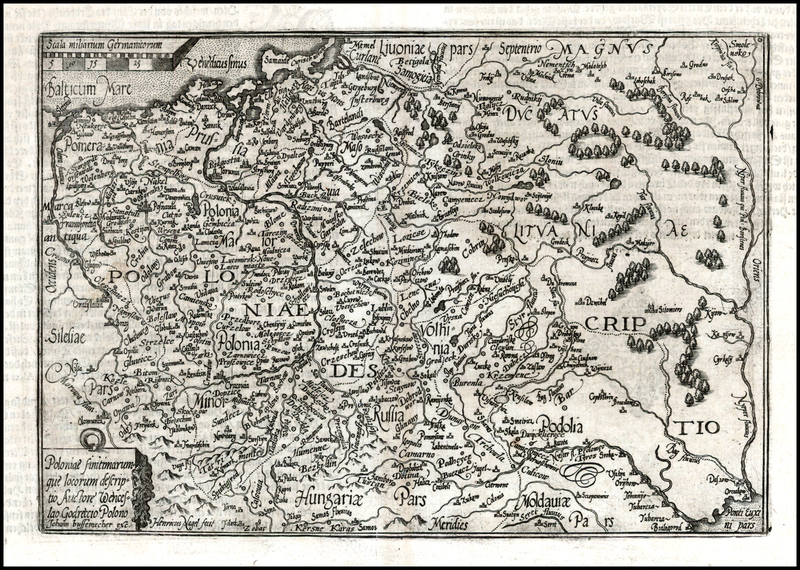 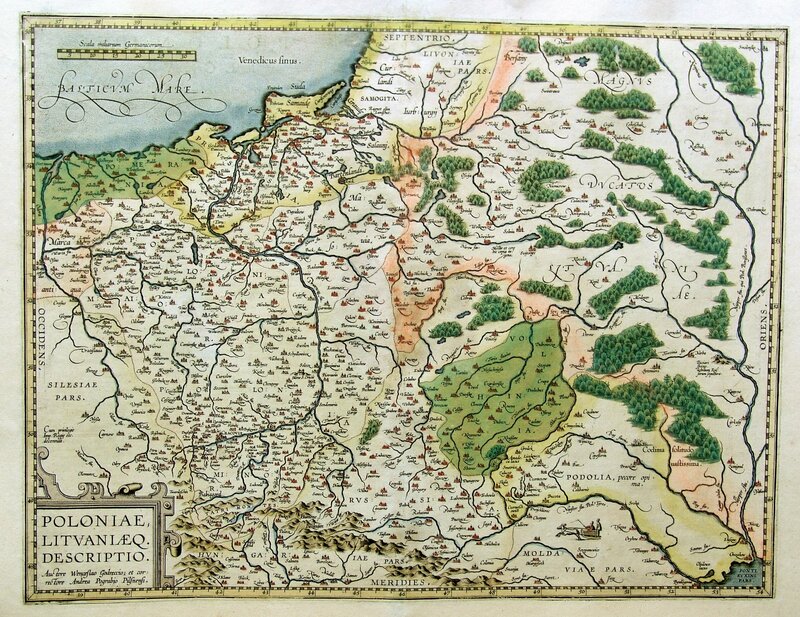 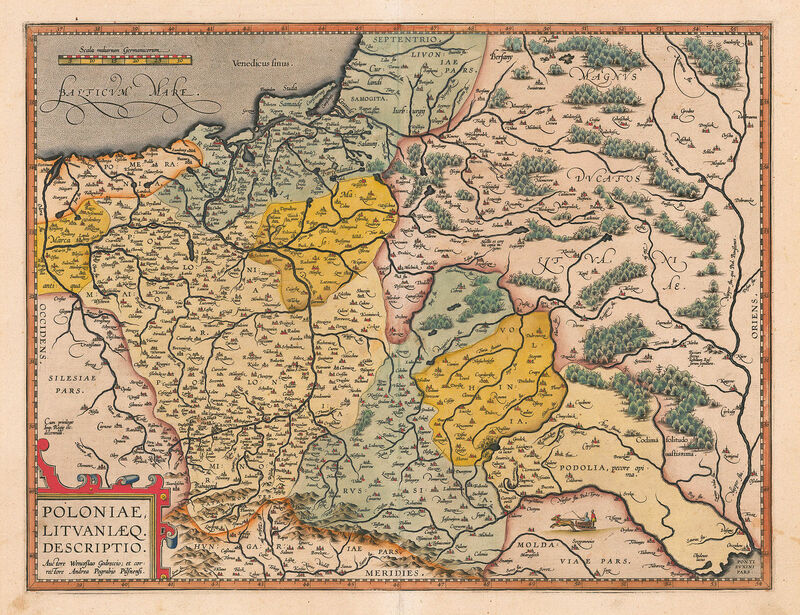 He, in turn, may have based his map on earlier -- and since lost -- maps by Caspar Henneberger. 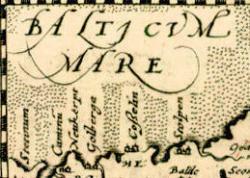 inches. 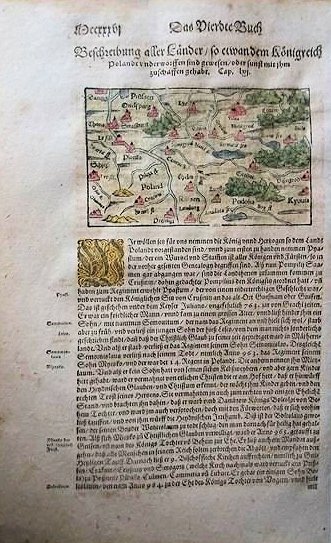 Compare with the 1569 version. 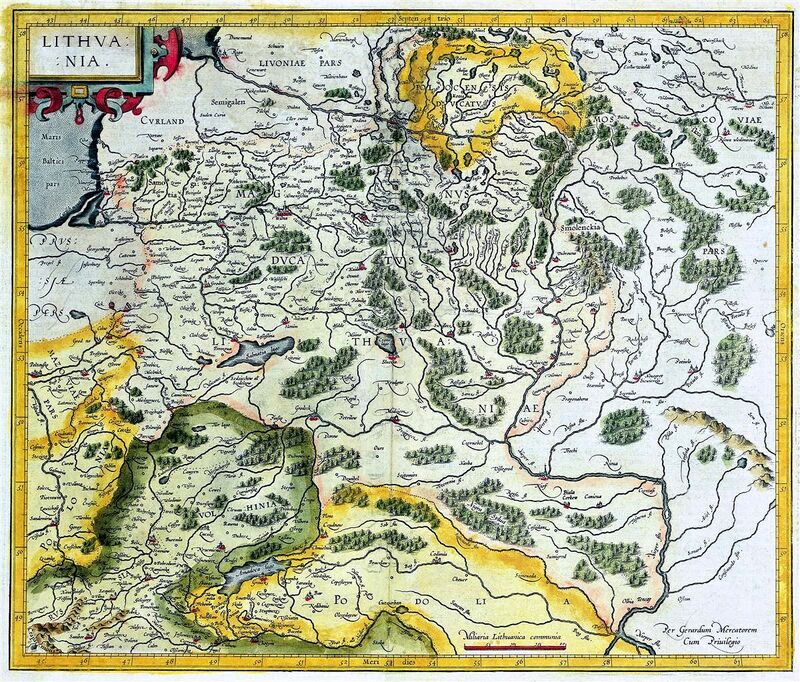 of cartography. 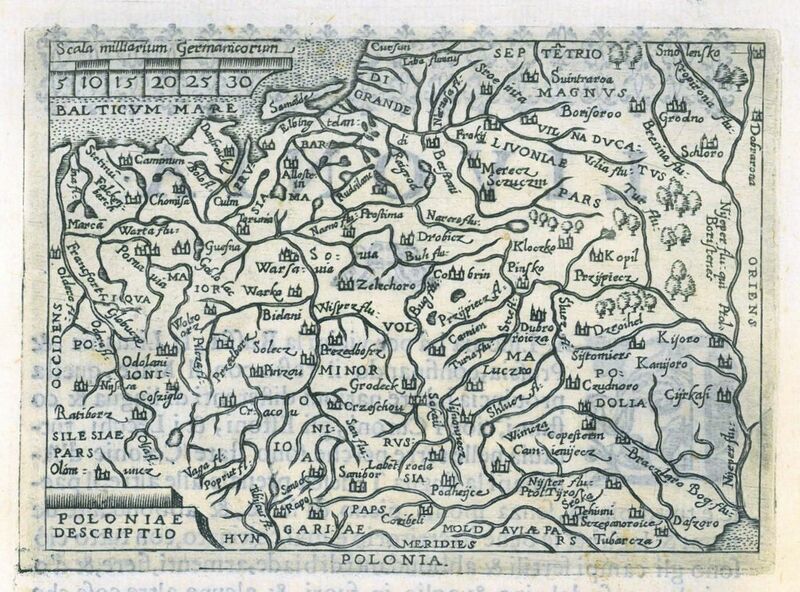 From that point on, the majority of cartographic works used this medium. 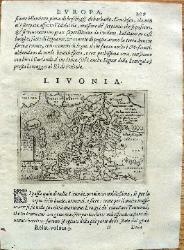 was in Latin, all later editions were translated into Italian.